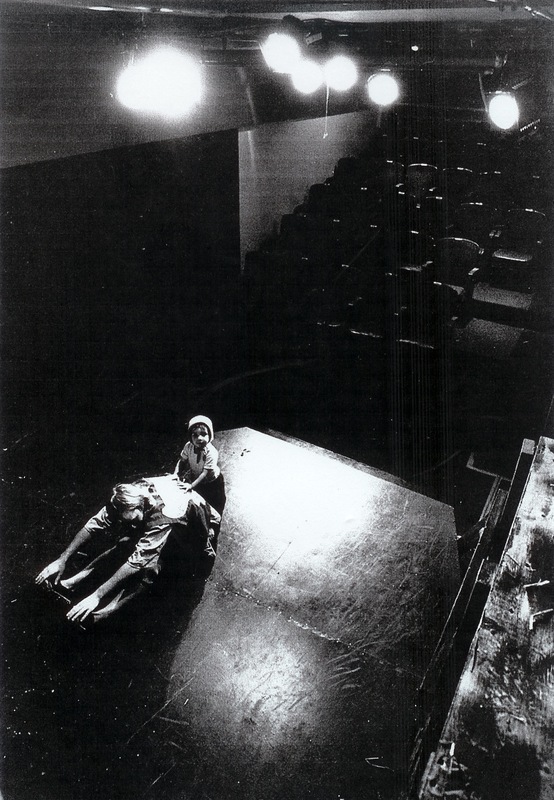 Nowadays I make my living in Los Angeles as a television writer and producer, but for many years back in the 1980’s I devoted myself to the stage as an actor, writer, director and founder of the award-winning Practical Theatre Company in Evanston and Chicago, Illinois. 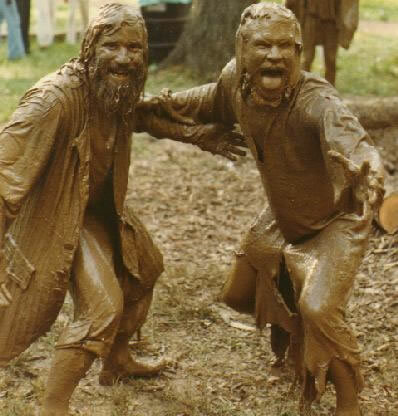 I was also fortunate to be one of the founding members of The Sturdy Beggars, a group of delightfully shameless improvisational actors who began their antics way back in 1978 and continue to entertain crowds at Renaissance Faires across the country, performing the infamous Sturdy Beggar’s Mud Show. At left is a photo of me (as Ikey Noakes) and Rush Pearson (as Will’m the Poorer) concluding another performance of the incomparable mud show. The freedom and exhilaration of working a good mud show cannot be truly appreciated unless you’ve gotten close enough to the pit to get very, very muddy. For more information on a wonderful decade of inspired theatre, click on The Practical Theatre Co.
For another level of merry, muddy revelry, click on The Sturdy Beggars.